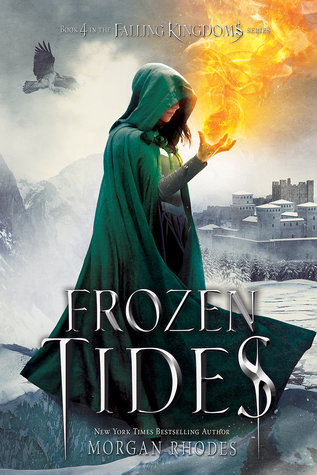 Book Review: Frozen Tides by Morgan Rhodes | A Book. A Thought. 21 July, 2018 30 July, 2018 / Sofii @ A Book. A Thought. OMG THIS BOOK!, I swear I have too many emotions within me right now, this series is more than incredible and never ceases to amaze me.I’m in that state where all I can say is that it’s incredible and I loved it lol, I’ll try to order my emotions to begin with my review. But I can’t stop telling you that if you want to read a great fantasy with a plot and epic characters, you have to give it a try right now! I always have this “problem” of having high expectations with the book I read and I end up disappointing, well, I can say that Frozen Tides is one of those few exceptions. I’ve get into it waiting for a lot of things to happen and obviously, hoping that was as epic as it was the previous book, which I titled as my favorite of the series so far, I’m not sure about it right now though lol. The thing is that this book doesn’t disappoint, I had everything I wanted and much more. I love how it catches and surprises from the first pages, making you just want to read more and more, it’s one of those books where you say “just one more chapter” and you end up reading the whole thing, it’s THAT GOOD. Despite being a fantasy with all its components, it’s really surprising how fast it can be read, it has many dialogues and as I go through the series I can see that there is more and more of them. This is GREAT for me!, I love fantasies that describe everything simply and have engaging and addictive dialogues. I think that in this book is where I’ve seen the characters grow more, and none has been left behind, all have a great role and the secondary characters are excellent. I admire so much Morgan Rhodes writing style, is so unique and I swear that this writer never runs out of ideas, I’ve seen the plot grow and has only managed to get better and better, I also think that the plot has matured a lot since the first book, so If you have read it and still aren’t sure about, I recommend you give it a second chance because I promise it only improves. As I said before, the growth of the characters is something unique. I’ve seen, especially the female characters, take over of these books, and I celebrate these strong and powerful women who are layers of everything to get what they want. Cleo, is a great example of this, I just love her, and although I have doubted her actions she never ceases to amaze me, she’s fearless and smart and her chapters are always my favorites. I met another character in the previous book and she’s Amara and although her actions are quite questionable there’s no doubt that she’s a great example of female empowerment, she’ll never let the society in which she has grown up, this kingdom rule by men, control her and maybe she’s pretty evil but I really like this character!. My boy, Magnus, I don’t know what to tell you about him but WOW he has surprised me in this book, this character is so unpredictable and that’s one of the things that I love most about him and his growth is INCREDIBLE, simply WOW again, I’m so happy for the decisions that he has begun to take, I’m proud of my babe. I love Jonas in this book, there’s something in him, in his freedom and his way of being so wild that I find adorable, I think he’s the most independent character and seeing him suffer so much has hurt me, but I know will make him stronger and I’m ready to see that. I have to confess that wasn’t an easy trip, something happend, especially one thing that broke my heart and I was so angry, you guys, I still can’t believe it and I thought “Oh god I will not continue reading this!” lol, we all know that’s not true, but I was hurt. The in the plot twists are always surprising but sometimes they’re too much and I think that my poor heart will not resist, I’ve become very attached to the characters and in this story that can be dangerous. On the other hand, there has been a special scene that I think I’ve been waiting since the first book and I’m so happy!, I told you at the beginning, too many emotions. We know Kraeshia in this book and it’s beautiful, the map continues to expand itself which I love, I’ve become so familiar with Mytica and its landscapes, I really enjoy that, so the incorporation of a new Kingdom has been perfect. So, I could be talking about how much I love these books forever, but I think I should stop before I talk too much. In short, I loved this book, at first I thought it wouldn’t be a 5 star really, but then the whole end of this book was brilliant and I couldn’t give it less, it deserve it!. 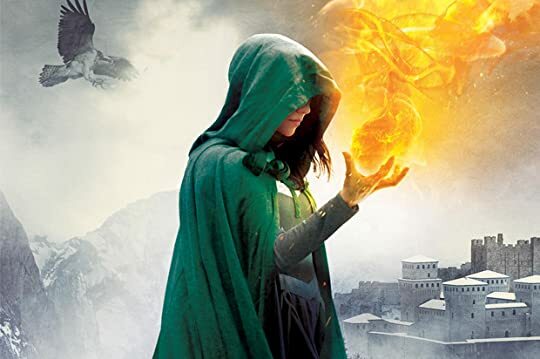 I highly recommend this saga if you’re looking for some action, revenge, high tention scenes, betrayal, magic, FANTASTIC characters, love, hate, among other incredible things. Pingback: It’s Monday! What are you Reading? 🤔 | A Book. A Thought. 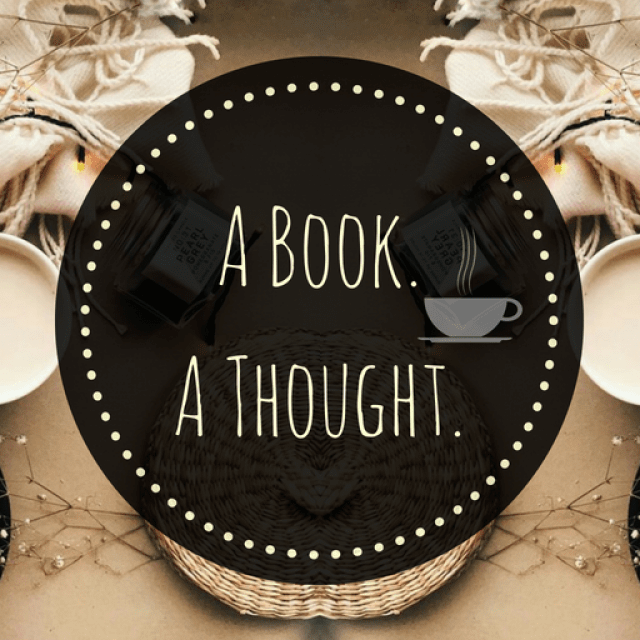 Pingback: Book Review: Crystal Storm by Morgan Rhodes | A Book. A Thought. Pingback: Book Review: Immortal Reign by Morgan Rhodes | A Book. A Thought.